Anna and John’s Sarasota wedding featured an outdoor, waterfront reception with soft colors of lavender and turquoise. 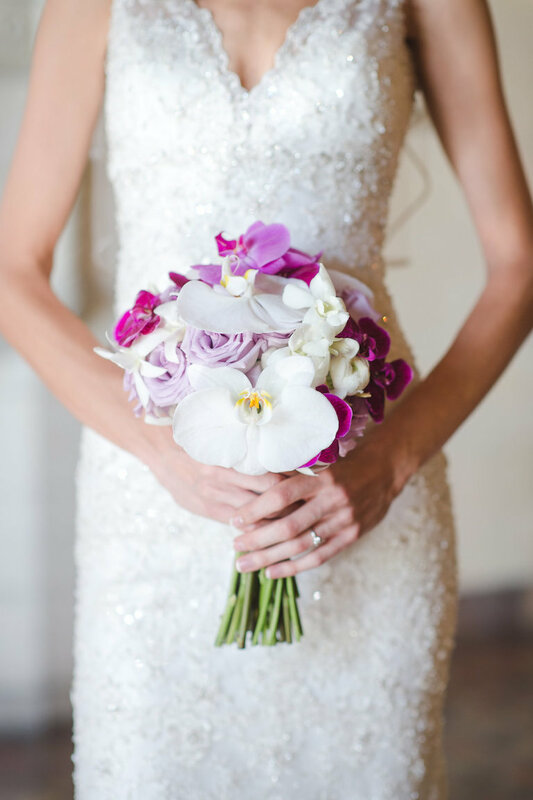 The Tampa couple searched for a Sarasota wedding planner who was dependable, experienced and organized. 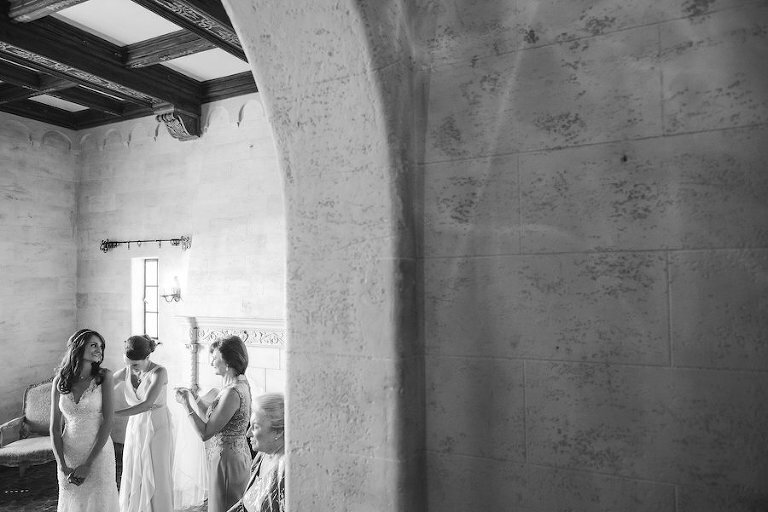 Wanting a Sarasota wedding photographer who could keep them comfortable and capture their personalities through photos, the bride and groom hired Marc Edwards Photographs. Looking back, one of the bride’s most memorable moments occurred the wedding reception. “One specific memory that makes me smile involved my grandparents. We did an anniversary dance instead of the flower toss, and they were the last ones dancing. When the DJ asked them for some words of advice for a lasting marriage, my grandma responded ‘Love, trust, and a lot of patience,’ which gave us a good laugh,” Anna reminisced. Someone who was dependable, professional, and organized. I asked Staci of UNIQUE Weddings and Events to be our wedding planner because she was professional, detail-oriented and diligent. She helped us bring our vision to life and seamlessly handled every aspect of the wedding. I knew she was on top of things, so when our wedding day came I was able to focus on enjoying my time with family and friends instead of worrying about the logistical details. Someone who made us comfortable and could capture our personalities in their photos. We chose Marc Edwards Photographs to be our wedding photographer because Marc is incredibly talented and wonderful to work with. He goes above and beyond for his clients and it shows in the photos. I couldn’t recommend him more highly. John proposed on my birthday. We had a trip planned to spend the day kayaking on the Weeki Wachee Springs. He carried the ring around with him all day, but couldn’t find the right moment until we got back home and on dry land. Beach chic. We love the beach but also wanted our wedding to have an elegant look and feel to it. We chose grey, turquoise, and lavender because it fit with our vision of a Spring wedding by the ocean. Someone who was fun and professional. 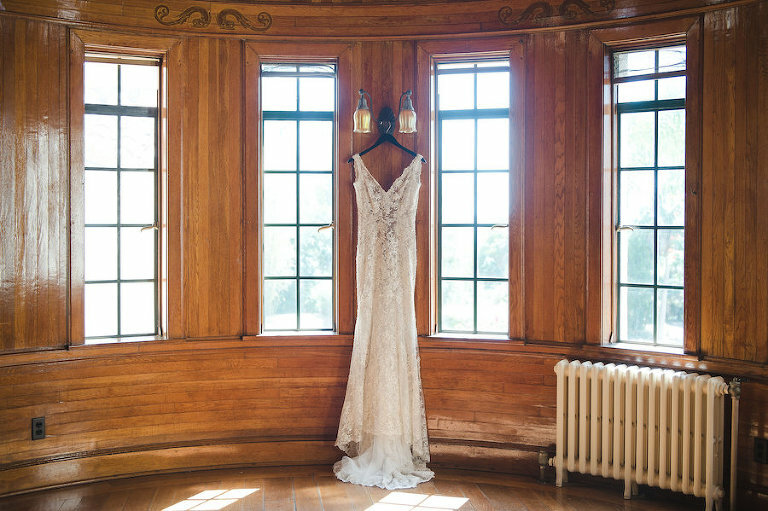 We chose Grant Hemond & Associates because they came highly recommended by our wedding planner, and after speaking to Jeff we could easily understand why. He was friendly and a pleasure to have at our wedding. He listened to our input and played songs that fit the event perfectly. He kept the energy up throughout the night and the dance floor packed until the very last song. Get a wedding planner who you trust to coordinate the day of your wedding. I knew Staci [of UNIQUE Weddings and Events] was on top of things so when our wedding day came I was able to focus on the more important things like enjoying all the special moments with John, my family, and friends.